Cards for a full-moon. 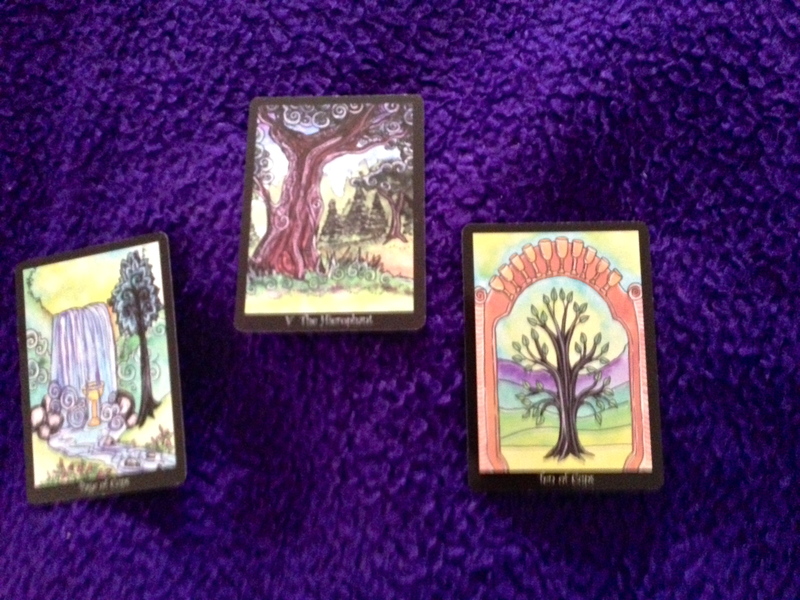 Past/Present/Future…what do the cards say on a rainy, gloomy day? Remember where you came from. No matter how hard it gets, you are never alone. In the future you can rise above petty emotions and delight in the abundance of your relationships. I like this message. Nice to have the coincidences of the universe help you out in times of need. 😉 Although I just read this story about putting books (literally, millions of books) into a strand of DNA…and I have no words, except to say as the circle of our knowledge gets larger, all that we don’t know gets more expansive too. The mind boggles.